You’ve reached the unofficial headquarters for all things Jeep Wrangler. Jeep Wrangler Parts.com is run by two guys who absolutely love Jeeps. 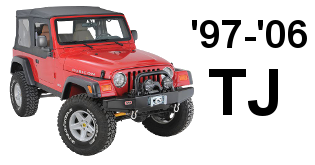 We are experts on Jeep Wrangler Parts, because we own, drive and love Jeep Wranglers. After years of buying upgrades for our rigs, we have plenty of experience concerning what parts and manufacturers have the best quality, and offer the biggest bang for your buck. 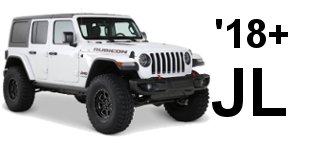 At Jeep Wrangler Parts.com we offer product review, insider tips, and tutorials to help you get the right part for your need. Our price comparison tool will help you get the best deal on those must have parts, and since we don’t sell any parts ourselves, you can rest assured that you’ll get unbiased and honest information. 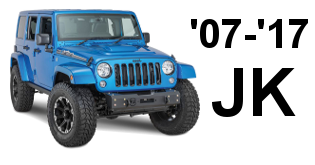 We are constantly looking and reviewing the latest Jeep Wrangler parts and accessories, from the biggest and baddest lift kits, to seat covers and LED light bars. Browse our database of product reviews, and never be steered wrong with your part purchase. Nobody wants to spend money on parts that don’t live up to the hype, and what good will that warranty be when the company is no where to be found? Before you pull the trigger on your next purchase of Jeep Wrangler Parts, take a look at the extensive database of reviews we’ve put together. Each review is written by a real human Jeep lover – not by a computer, or someone who’s never even driven a Wrangler. You can trust that you’re getting the straight dope from the guys at Jeep Wrangler Parts. We’ve been burned by shoddy parts in the past (and even the not so distant past), and we’ve made it our job to call out these poorly made parts, and offer up alternatives that preform better. 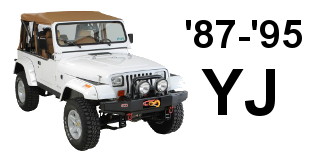 Both of the guys behind Jeep Wrangler Parts.com have owned several different model Wranglers (and some CJs). You can rest assured that we’ll give quality, honest opinions on all the parts we review. Whether you’re looking for Jeep JK part reviews, Jeep TJ part reviews, or Jeep YJ part reviews we’ve built out a series of reviews, and guides to help you out. We cover all the major upgrades that you’ll want to make, including suspension lift kits, body lift kit, bumpers, tire carriers, soft tops, body armor, and more. Everyone starts learning about their Jeep at the beginning, and at Jeep Wrangler Parts.com we’ve written several guides to help make this learning process as easy as possible. If you’re new to the world of Jeep Wrangler upgrades, then you should start with our Jeep Wrangler Lift common questions guide. In this guide we attempt to talk about the basics of a lift kit, what it does, and the various terminology used. This is place to start when getting your feet wet with Jeep upgrades. Once you’ve decided on a lift for your Jeep Wrangler, you should read through our guide to choosing the right Jeep Wrangler lift kit. In this guide, we go over the components involved in a Jeep Wrangler lift kit for each model Wrangler (different Wranglers need different style lift kits). We’ll help you learn what makes a complete lift kit, and what would be lacking from other kits. After reading this guide, you should be armed with enough information to select a quality lift kit.